Save time. Increase Productivity. Utilize the latest in technology. What Does Speed Of Life Term Do? By utilizing the latest data and technology available in the marketplace today, Speed of Life Term can give you decisions within 24 hours. This product offers death benefits up to $1 Million at Preferred ultra-competitive rates, with the possibility of a paramedical exam being waived entirely. THE POSSIBILITY OF NO PARAMEDICAL EXAM! 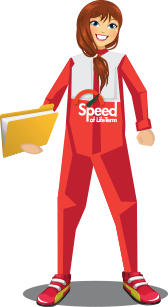 If you seek a competitive term life insurance product that allows you to place business FASTER while decreasing your case management costs, Speed of Life Term was designed for you. With coverage up to $1 Million, term options include lengths of 10, 15, 20, & 30 years… all at the Speed of YOUR Life! As a patented product, Speed Of Life Term is truly revolutionary. If you are an Independent Insurance Agent, Financial Advisor, operate within a call center, or operate within a transactional environment such as a financial institution, Speed Of Life Term is the answer to many of the problems you and your clients face. Consumers will appreciate the simplicity of Speed of Life—from the benefit of IMMEDIATE COVERAGE that can be paid by checking or savings account debit AND credit/debit card, to the convenience of scheduling their own paramedical exam, if necessary. Ultimately, though, consumers will be comforted knowing their underwriting classification will be the same as it would with any other fully underwritten carrier. In addition, Speed Of Life features premium rates that are competitive with the leading medically underwritten products on the market today. 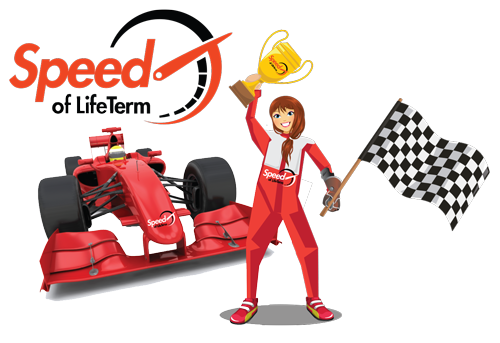 Only with Speed of Life does the customer get unconditional term life coverage right away with convenience offered by no other company in the industry! Speed Of Life Term is designed for SAME DAY TURNAROUND. If accepted... the policy is put in force and will be ready for delivery! The average top-level commission for a term insurance agent is 80% of the first year's premium. 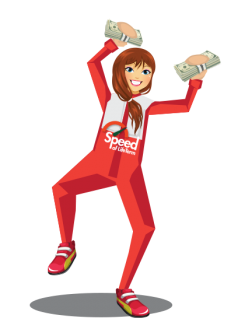 Speed Of Life is paying TRIPLE DIGIT COMMISSION on first year premiums to our agents! Speed of Life Term will now give your client the ability to have their medical exam be waived and still obtain 100% all cause coverage at the competitive price that Speed Of life offers! During the initial instant underwriting process, the customer will have their insurance profile compiled from their application and 3rd party data such as MVR and Pharmacy Reports. If their insurance profile passes Underwriting Requirements for the new process, they will be approved at the applied rate and receive 100% of their coverage as All-Cause without a medical exam or additional underwriting! The customer qualifies for the same great pricing! Once you have submitted FIVE paid cases and are certified to sell Speed of Life Term, you can DIRECTLY submit your applications and review current case statuses with the insurance company. Speed of Life makes it easy by providing you direct access to the carrier and online resources that are unmatched in the industry: e-app submissions, case status updates, commission statements, it's all here! Whether you sell face to face, or over the phone, Speed of Life Term provides you with direct connections to the resources your business needs to be successful.